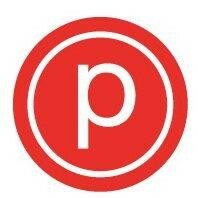 Pure Barre Empower Note: To insure you are properly warmed up, this class has no late entry ! You MUST arrive at least 15 minutes before class time your first time to our studio as you will not be permitted to participate without filling out the required waiver. There is tons of parking, but plan extra time around midday classes since the parking lot gets busy. We conveniently located are right in between Mike's Bikes and the UPS Store to the back of the Safeway Shopping Center. Nicole is the most amazing teacher ever. Always a rocking class. Tyler is amazing! It was my first ever Empower class and I was nervous to take it. She was so attentive and full of energy. I can’t wait to take it again! Nicole is AMAZING! Her workouts are fun and intense! You will be sweating bullets and will get a full body and booty workout!! Besides the torrential storm pouring from my face, this class was Pure FIRE! Jackie totally brought Empower to a whole new level with her moves like Jagger. Thank YOU! It was a good workout, Im definitely feeling sore! But it was hard to understand what the instructor was saying so I felt a little lost on the moves sometimes. AMAZING class! A challenging workout. Loooooove Tyler! Always brings a ton of energy and amazing techniques to get us burning up! !